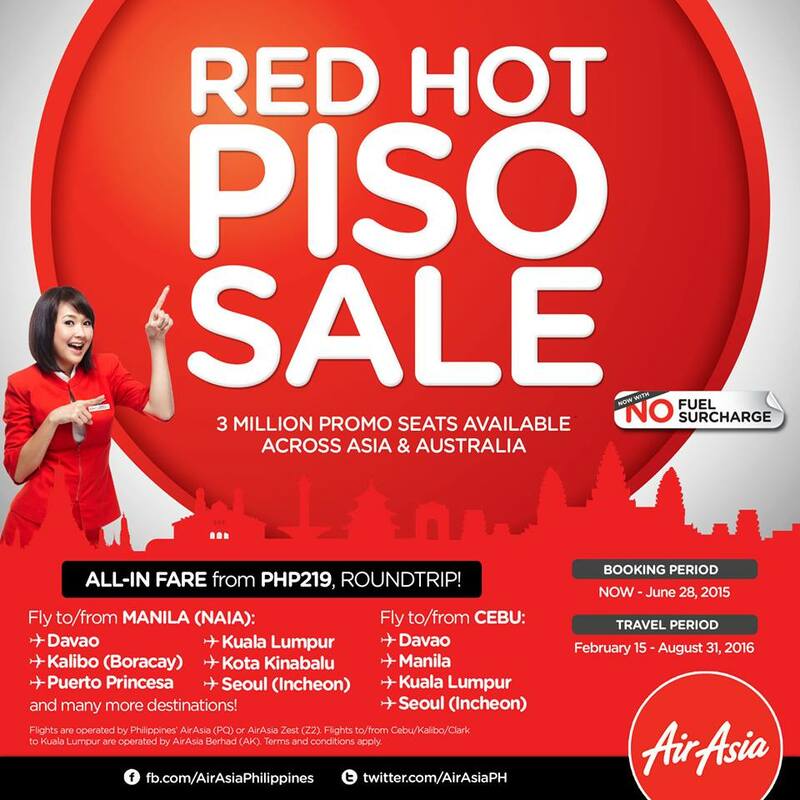 Piso Fare Promo 2016: This is the new Red Hot Piso Sale by Air Asia! Take advantage of the 3 Million Promo seats available across Asia & Australia! Avail the all-in fare of Php 219 and that's round trip! So what are you waiting for? Thank you for making us the World’s Best Low-Cost Airline, 7 years in a row! We would like to continue flying you with low fares yet world-class experience! Fly now to/from Manila, Cebu, Boracay, Kuala Lumpur, Macau & many more from P1 base fare only, with NO FUEL SURCHARGE! Hurry, catch our P1 seats while they’re HOT!